Thomas L. Isenhour is an analytical chemist with a PhD from Cornell University. He is a teacher, researcher, administer, and consultant to industry and government. He has taught more than 10,000 students in chemistry, environmental science, mathematics and the history of science. 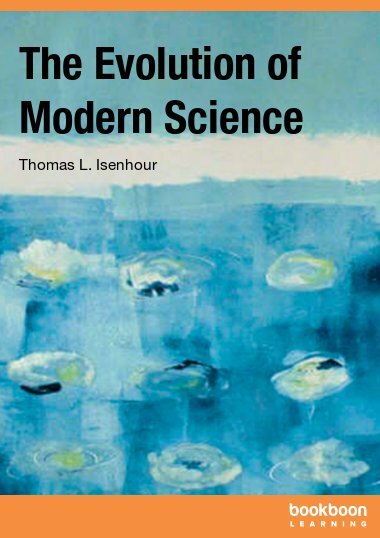 Isenhour has published 182 articles and 14 books and editions and has directed 28 PhD dissertations and 10 MS theses. He is an award winning actor and has authored four plays that have been produced. Isenhour has served as Department Chair, Dean, and Provost. On leave he was an endowed Visiting Professor at Hebrew University in Jerusalem, a Program Director at the National Science Foundation, and the Provost/Dean for the establishment of the American University in Bulgaria. First at Duquesne University and more recently at Old Dominion University, Isenhour has developed and taught The Evolution of Modern Science. He is an adjunct professor of history at Old Dominion University and this book is an outgrowth of his course. He continues to teach both chemistry and history with the history course filling to capacity every semester. Isenhour is married and has one daughter, one son, and one grandson. His hobbies include flying (he is a certified flight instructor), classical music, jazz, literature, writing, and acting. He has done volunteer work for the American Cancer Society, the United Fund, the Civil Air Patrol, and National Public Radio. His philosophy is: Through education, we can build a world where enlightenment replaces prejudice, ethics replaces greed, and compassion replaces violence.